Christians that are Republican can't understand how someone can love Jesus and be committed to a political party that seems to not value life in the womb. Christians that are Democrat can't understand how someone can love Jesus and be committed to a political party that seems to not value life of the poor outside the womb. Is it possible to be BOTH pro-life and pro-justice? Should our allegiance to a political party be stronger than our allegiance to Christ? How do we help our church members navigate today's political climate? How do we spark healthy conversations that grow us rather than divide us? Join our next CPCP Presents and hear from two leading voices in this arena. He now desires to blend his artistic platform with his academic leanings to contribute a unique perspective in both arenas in hopes of raising the standard, thereby raising the culture. Sho currently lives in Atlanta, GA and co-leads a consulting network that is active in cultural renewal. 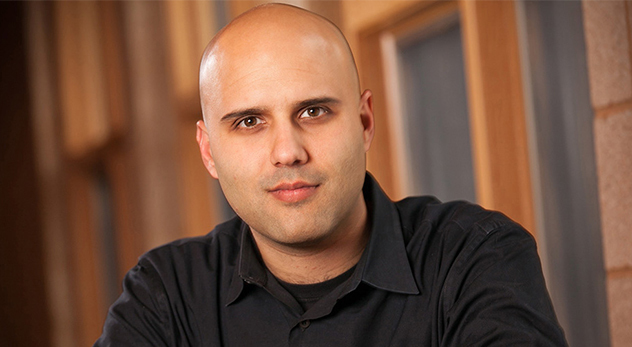 Skye Jethani is an author, speaker, consultant and ordained pastor. He also serves as the co-host of the popular Phil Vischer Podcast, a weekly show that blends astute cultural and theological insights with comical conversation. Between 2004 and 2015, Skye occupied numerous roles at Christianity Today, a leading communications ministry launched by Billy Graham. He served as both the managing and senior editor of Leadership Journal and as the Director of Mission Advancement for CT. He was also the senior producer of This Is Our City, a multi-year, multi-city project telling the stories of Christians working for the common good of their communities.